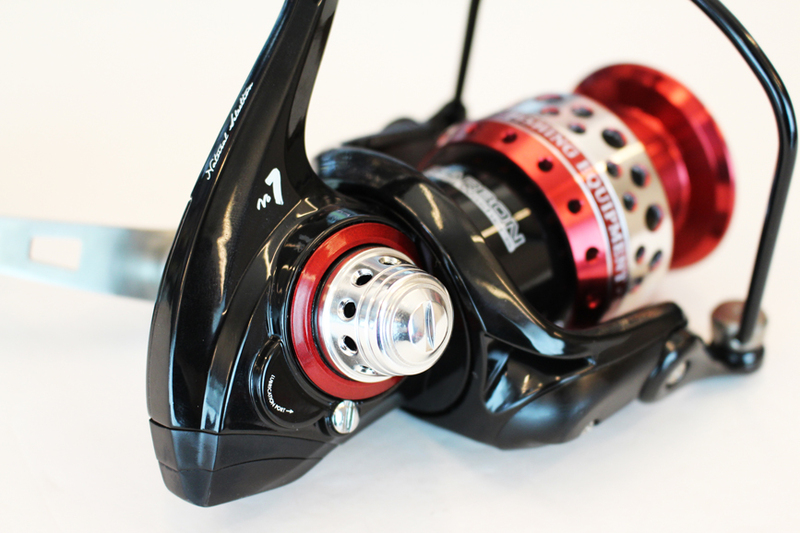 Reel specially designed for extreme jigging and fishing to large funds (for 50 to 130 lb rods). Built entirely in metal, with body and rotor in aluminum alloy, it coil machined aluminium and handle forged aluminum. Shafts and gears in stainless steel and marine bronze, inside the sealed body. Sealed brake disks combined stainless steel and carbon (total 11 brake discs), which confer a power of braking of 66 pounds (30 kilos). 10 rodamientos, 9 balls in stainless steel ultraresistentesy tobacconists, and a bearing of infinite backstop of continuous operation.